Marvel Comics has released a new teaser for Marvel NOW! 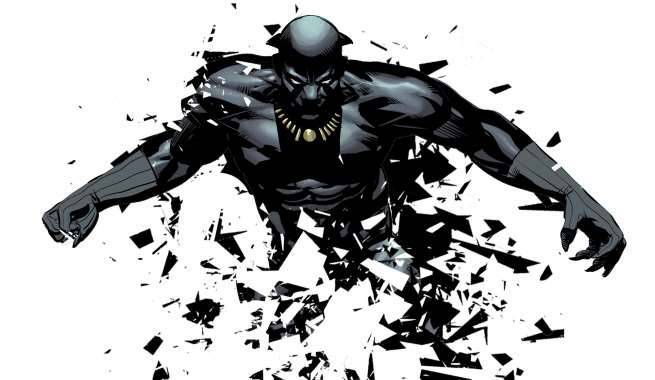 ComicBook.com can exclusively reveal the teaser, created by Mike Deodato and featuring the Black Panther and the Prowler. As with previous teasers, the two characters are “divided” by a shattering between them. It’s unclear what connection, if any, exists between the two characters and what it has to do with the mystery of Marvel NOW!’s return. This is the fourth character teaser Marvel has released, with each teaser pairing a marquee character like Black Panther with a newer or lesser known character like Prowler. Previous teasers paired Captain America (Steve Rogers) with brand new character Mosaic, Captain Marvel with the living cartoon Slapstick from Deadpool and the Mercs for Money, and Ms. Marvel with Riri, the MIT student who built her own Iron Man armor in her dorm room who was introduced in Invincible Iron Man. The new Black Panther/Prowler teaser, along with the other three characters teasers, can be seen in the gallery below. Another Marvel NOW! teaser featured a shattered Marvel NOW! logo and arrived with the tagline, “You Thought You Knew the Whole Story…,” possibly teasing a connection or retcon involving the original Marvel NOW! era. Outside of these teases, little is known about the exact nature of the next Marvel NOW! relaunch. Marvel has promised that, like 2012’s original Marvel NOW! initiative, the return of Marvel NOW! will see the launch of new ongoing series, shifts in the status quo, and the beginning of a new era for Marvel Comics. Where the original Marvel NOW! dealt with the fallout of Avengers vs. X-Men, the new initiative will grow from the aftermath of Civil War II. Fans will get their first look at the new Marvel NOW! era when the Marvel NOW! Preview Magazine is released on July 13.